Plants floor heating radiation are characterized by a total architectural integration so you may want to coordinate and integrate all aspects of the design to ensure a good system building system. The design of the system requires the determination of the heat demand of the building in accordance with the Law 10 / 91 and subsequent amendments: the thermal power supplied must be equivalent to the nominal heat losses for each environment. In the project must be reported position of collectors, That you should be barycentric compared to the environments to be heated, the distribution of the heating circuits and the placement of all types of joint present. 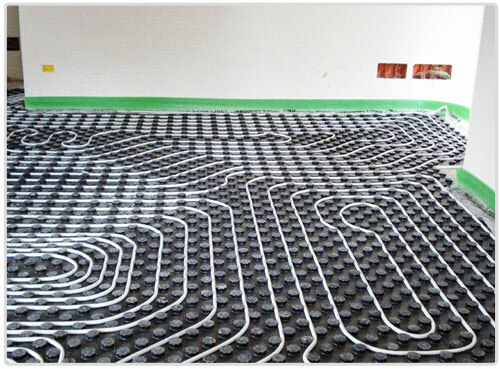 Once you have completed the installation of radiant, before covering the circuits with the screed is necessary to make the leak test system for leaks. The tightness test consists of a water resistance test, where the test pressure is equal to 2 times the operating pressure with a minimum of 6 24 bar for hours: the pressure drop should be less than 0,3 bar. During the test, some factors such as the quality of the liquid filling plant, the temperature and expansion of the pipe can bring down the pressure beyond this value: in this case, to complete the proof it is necessary to top up the system. Particular care must be attention to the installation of radiant panels, to minimize material waste. After posed the band perimeter insulation as described in the previous article you can proceed with the paneling. The laying of the insulating layer must be from perimeter tape making sure that the edges in contact with the tape are covered by the strip of transparent nylon. Firmly join the panels with each other, taking advantage of the specific side to overlap MF, so as to avoid the formation of empty spaces between one element and another. First to start you need to choose a sense of speed: it is advisable to lay the panels parallel to the outer wall or the back wall opposite the door. 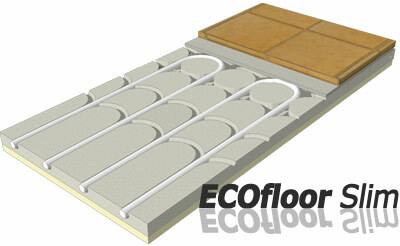 Il floor heating or said heating radiant panels plant system is a new generation used to heat and cool the rooms. 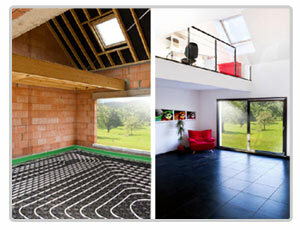 The underfloor heating transmits heat or cool according to the principle of irradiation and not by convention. The system consists of special pipes installed under the floor within which passes water heated or cooled depending on the requirement. The thickness and type of floor directly affect the yield of the radiant floors, and these characteristics should be taken into account in the design phase. 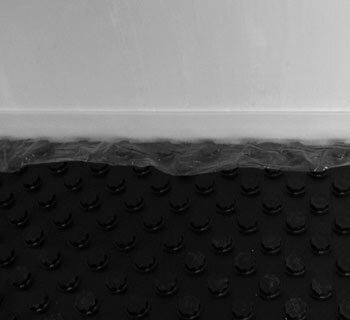 The UNI EN 1264 prescribes the use of floors with thermal resistance values ​​Rλ, B not exceeding 0,15 [m2K / W] (not limited to the ceramic has value 0,01 [m2K / W]) in order to ensure an optimal operation plants radiant heat loss and at the same time contained.